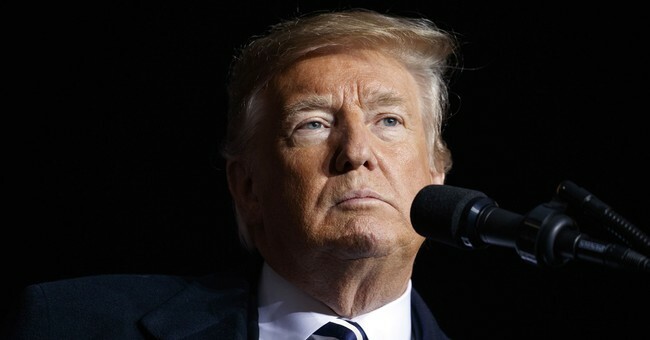 President Donald Trump met with Republican Congressional leaders to discuss a potential deal on a budget that includes funding for the president's highly anticipated border wall, ABC News reported. Trump wants $5 billion for the wall and said it would be a "good time" for a government shutdown if he didn't get what he was asking for. Republicans have talked about trying to spread the proposed funding out over the next two years so the wall's construction funding is set in stone before the GOP loses full control of Congress. The problem with that plan: they believe the funding could completely fall apart once Democrats take control come January. Ultimately though, the decision is in President Trump's hands. "It's up to what the president will find acceptable. Ultimately he's going to have to decide it," Senate Majority Whip John Cornyn said. "We're better off trying to negotiate that with the president." Democrats, however, refuse to bend. The Senate has already approved 1.6 billion for border security, which they feel is fair, although it's nowhere close to Trump's $5 billion request. "The president thinks a government shutdown will be good for the country," Sen. Patrick Leahy (D-Vt.) told POLITICO. "The only one that can shut down the government is the president and the Republican leadership." Minority Leader Nancy Pelosi has yet to make any decisions on the border wall. She's reluctant to make any decisions that could threaten her potential Speakership, which will be decided on Wednesday. The border wall is expected to cost upwards of $25 billion.